The Citizens’ Hearings Global Report was launched last week by White Ribbon Alliance, World Vision, Save the Children and the International Planned Parenthood Federation, on the day of the UN summit to adopt the new Sustainable Development Goals. The report brings together citizen voices from over 100 Citizens’ Hearings in 19 countries calling on governments to actively involve citizens in policy making efforts to end preventable maternal and child deaths. 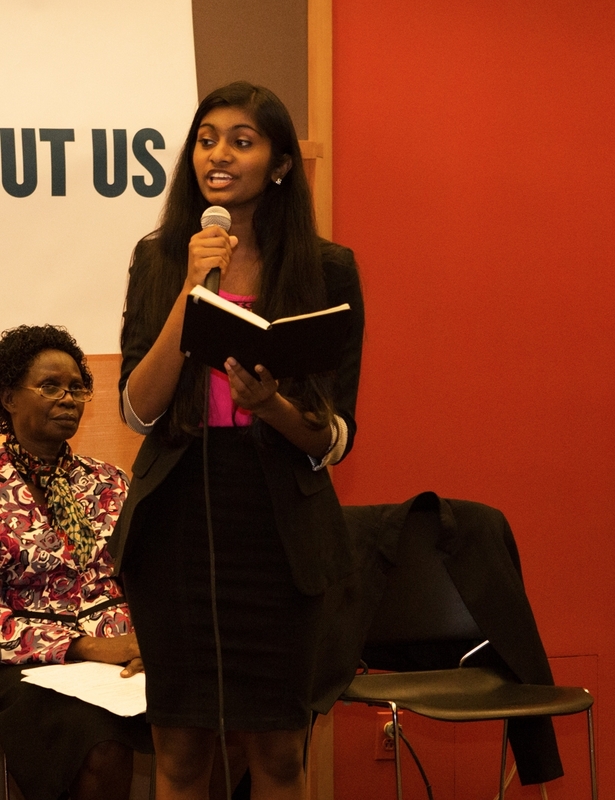 The Citizens’ Hearing Global Report launched in New York alongside the UN General Assembly at an event called ‘Nothing about us without us’ at the Japan Society in New York on Friday 25th September. The report outlines recommendations from thousands of people, including children, in Africa and Asia, who travelled from rural areas and cities to take part in these remarkable democratic and open dialogues with local and national politicians, health workers and media. Citizens asked questions and spoke out on their experiences; leaders listened and responded to the upsurge of demand for involvement and accountability for their countries’ health services to women, children and adolescents. 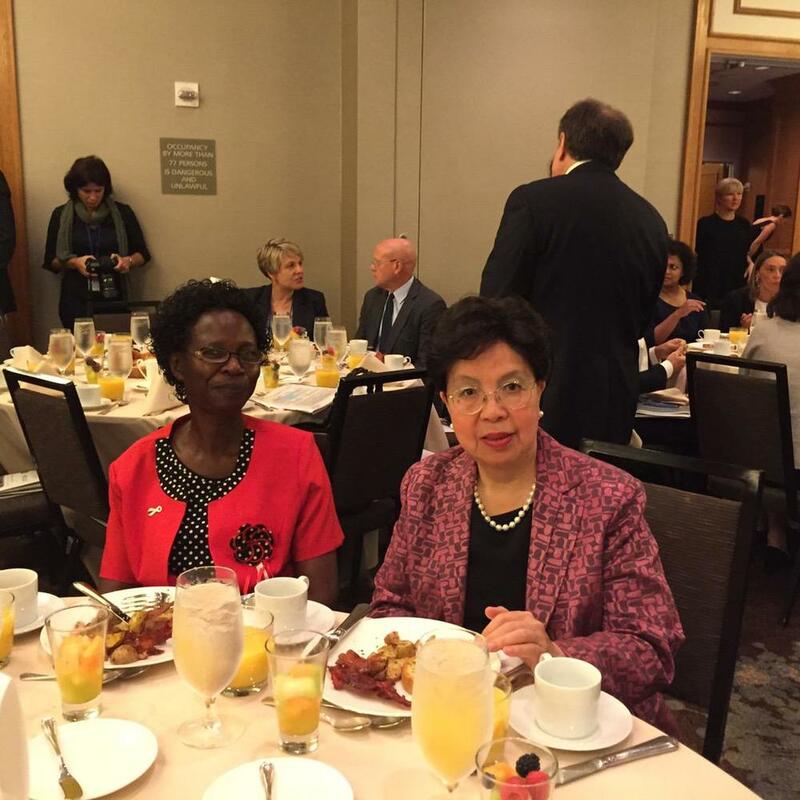 Citizens’ Hearings representatives also presented the Global Report, and spoke, at UNGA events throughout the week, including the PMNCH Accountability Breakfast on 26th September in New York, taking the citizen demand for strong, citizen-led accountability mechanisms in the new SDGs and updated Global Strategy for Women’s, Children’s and Adolescents’ Health to world leaders. 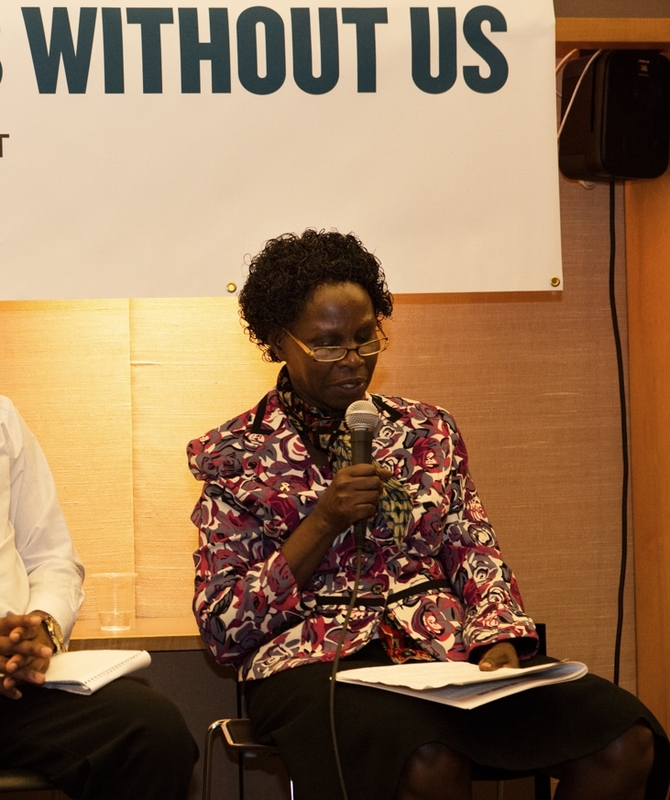 “Citizens will keep asking and asking until what we need is delivered by our government” - Citizens’ Hearing representative Philomena Okello, Senior Nursing Officer and Citizens' Hearings representative from Uganda introduced the Citizens' Hearings Global Report at the PMNCH Accountability Breakfast on Saturday 26th September. “Where is private sector accountability? We must focus on this!” - Citizen reporter Winfred Ongom stood to ask world leaders and attendees at the PMNCH Accountability Breakfast. "Thank you for that wonderful question. Health is a human right. WHO together with many partners in the room, including of course the Human Rights Commission, advocate, but the implementation must be done by the governments and that’s why we need to hold the governments accountable, why there is such a lack of action... Without human rights, especially the rights of women, without equal status, to equity in political as well as economic participation, there’re no rights. Why do women have to get permission from their in-laws or their spouse before they can have family planning? This is unacceptable". “Basic to health and WASH is knowing you have the right to clean water and basic sanitation” - Philomena Okello was part of the panel of speakers at the Global Health Council Breaking Down Barriers, Health and WASH event co-convened by WaterAid and White Ribbon Alliance on Saturday 26th September where the President of Liberia Ellen Johnson Sirleaf and HRH Princess Sarah Zeid gave keynote speeches. "Young women don’t want to sit back and watch the SDGs, they want to be involved in implementation and accountability" - Winfred Ongom, Citizen Reporter from Uganda talked accountability at the Social Good Summit Masterclass on Sunday 27th September. "I had to leave school when I was married at 14, but now I will return. I want to be a teacher!" - Santana Murmu attended the Up for School event for universal education with Sujoy Roy of White Ribbon Alliance West Bengal. There she met with Nobel Laureate Kailash Satyarthi who told her "India needs more women like you!" Santana Murmu spoke out against child marriage and asked world leaders to commit to accountability for the SDGs at the Youth Voices event on Sunday 27th as well as speaking at the Girls Not Brides annual breakfast on Monday 28th September. Santana met with fellow women’s, children’s and adolescents’ health advocates from around the world during the UNGA, including HRH Princess Sarah Zeid. The Independent Expert Review Group (iERG) 4th Report - Every Woman, Every Child, Every Adolescent: Achievements and Prospects Report states, 'The failure to deliver accountability is not merely a failure to meet the norms and standards of a political process. It is a fundamental violation of the dignity of the most vulnerable citizens living in our communities. For hundreds of millions of women and children worldwide, the promises and commitments of national political leaders, as well as global heads of health agencies and development organisations, have fallen short of expectations'. The iERG report notes the importance of civil society involvement in strengthening accountability and of processes like Citizens' Hearings as being crucial for building trust between citizens and their leaders in order to achieve the improvements to women's children's and adolescents' health set out in the SDGs. The PMNCH 2015 Accountability Report - Strengthening Accountability: Achievements and Perspectives for Women's, Children's and Adolescents' Health, features the Citizens' Hearings as a key tool in promoting the role of parliamentarians and raising the voices of citizens. The report says Citizens' Hearings 'are important for improving accountability across levels and putting people at the heart of the SDGs'. The Global Health Visions Report 2015 - Accountability in Global Health: What works, what doesn’t, and what we need to do about it, notes that 'Without listening to the populace and understanding the real barriers to effective implementation, successful outcomes will remain elusive' and highlights Citizens' Hearings as elevating citizens’ voices to the national and global levels. White Ribbon Alliance, World Vision, Save the Children, Action Group for Health Human Rights and HIV/AIDS and Allied Youth Initiative launched the Global Citizens’ Hearing Report in Uganda on 22nd September. Hon. Bayiga Lulume, Member of Parliament for Buikwe South launched the Citizens Hearing Global report addressing the press together with national civil society partners. White Ribbon Alliance Uganda National Coordinator, Ms. Robina Biteyi appeared on the national channel NTV to launch the report and to call on leaders to ensure that citizen-led accountability is institutionalized the new development goals. White Ribbon Alliance Tanzania launched the report on 24th September at a press conference with Citizens' Hearings representatives presenting the report, in Dar es Salaam. Ward Councillor Mwajuma Sempule, who has actively participated in the Citizens' Hearings, and represented Tanzania at the World Health Assembly Global Citizens' Dialogue earlier this year was in Dar es Salaam to speak to the press and help take citizen demands for accountability to the national press and leadership. White Ribbon Alliance Nigeria and partners launched the Citizens’ Hearing Report in Abuja at a national press conference on 22nd September. Keep track of many more national launches of the report to come on citizenspost.org and by following #CitizensPost on Twitter!